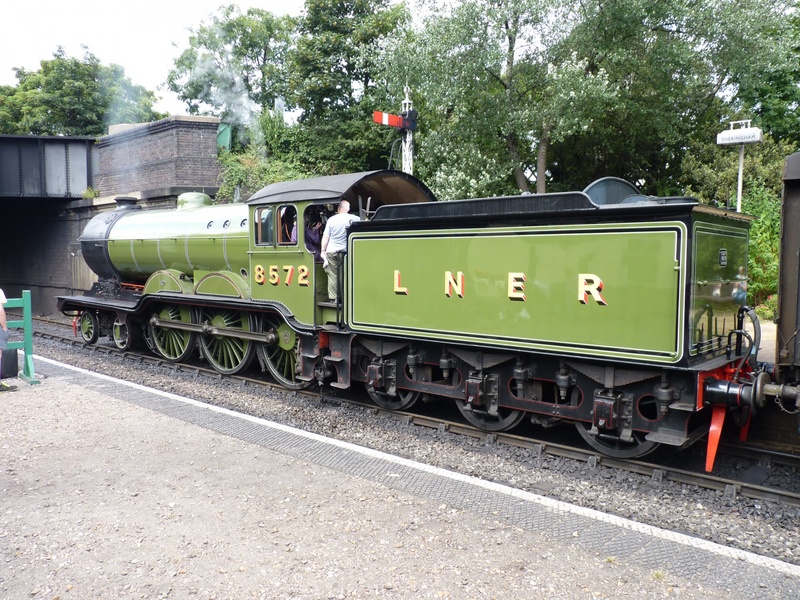 The North Norfolk Railway (NNR) is a heritage railway and one of East Anglia’s top tourist attractions. 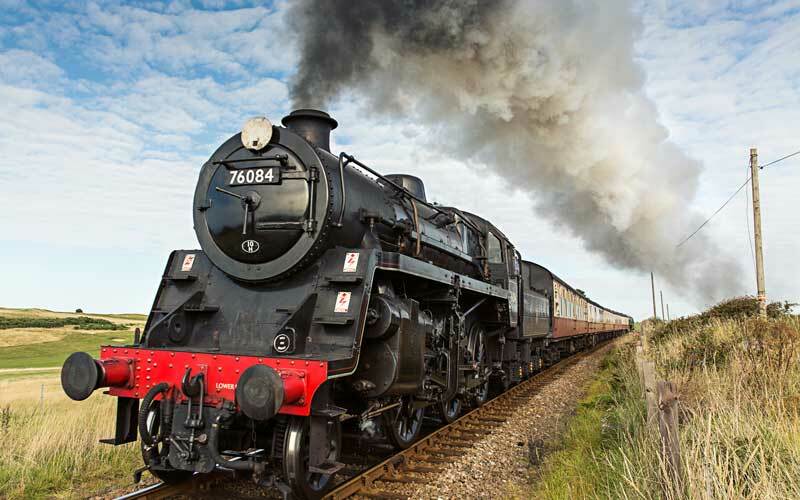 It runs magnificent steam and diesel locomotives, together with a fleet of beautifully restored heritage carriages and wagons, through five and a half miles of picturesque North Norfolk coastal and country scenery. Over the years, the NNR has won various prestigious awards, recognising the railway’s contribution to the preservation movement and the heritage & tourism industries. Most recently we were honoured to be awarded the ‘EDP Hoseasons Norfolk Tourist Attractions Best Large Visitor Attraction of the Year Award’. 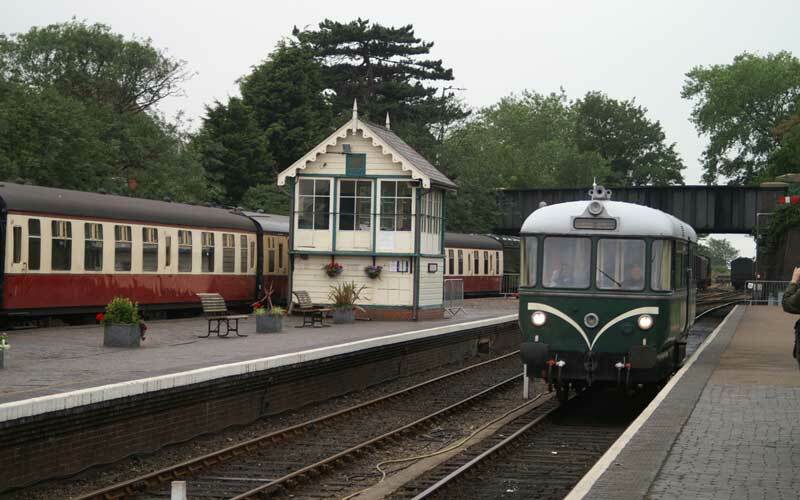 A journey along the NNR can start from either of our terminus stations, Sheringham or Holt. Both have car parking spaces in close proximity to the station and allow for disabled access. Sheringham parking is at the NNDC pay and display car park adjacent to the station, and Holt has a carpark owned by the NNR. Holt is the newest station along the line. Today, Holt Station is just under a mile from the town centre, the original location now lying under the Holt bypass. However, a range of relocated original structures, together with accurately built new buildings, help to give the impression that you have truly stepped back to the golden age of steam in the 1930s. Kelling Heath is a request stop on the outskirts of Weybourne. Set amongst 300 acres of woodland and heathland, in an Area of Outstanding Natural Beauty, it offers access to a host of relaxing walks and hikes. Weybourne station has featured in a number of films and television productions. It was originally built to serve the Springs Hotel, which once dominated the skyline but is now long gone. Today the station has been restored to the Edwardian period, even down to the toilets. Weybourne is also home to our engineering branch. 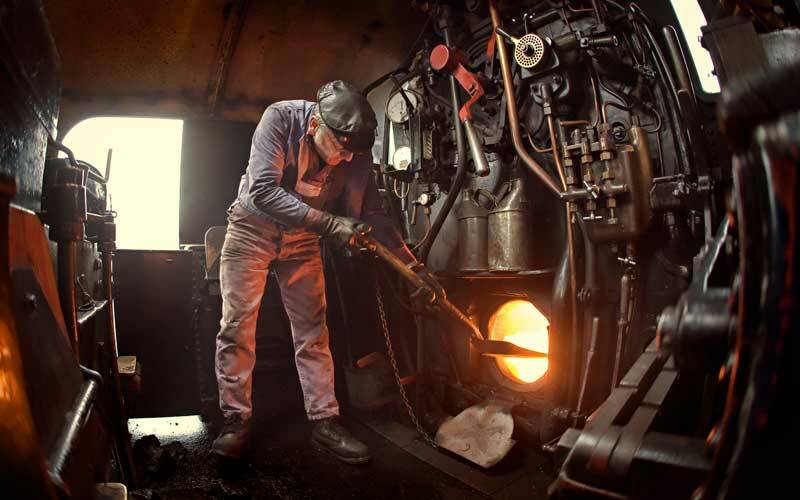 Whilst our loco sheds are usually closed to the public, we open the doors for our ‘Behind the Scenes’ tours, where you can see what really happens to keep these truly magnificent locomotives and carriages running. More than that, you can experience driving and signalling first hand on an ‘Experience Day’. Set firmly in the 1950s, Sheringham Station has the period feel of British Railways. Drop into the Refreshment Room for a welcome cuppa and snack, or tuck into a hot lunch and visit the souvenir shop before your return journey. Sheringham Station is a stone’s throw from the beach and also connects to the National Rail line from Norwich and Cromer, making the NNR easily accessible from the mainline. Throughout the year we run a selection of Dining Trains. These offer an unforgettable experience, as you enjoy a delightfully prepared multiple-course meal, while the picturesque scenes of the North Norfolk coastline roll by. While some of these dining excursions stay on the NNR, our Mainline Lunch trains run through to Cromer along the tracks of the Bittern Line. If you are a budding sleuth then our murder mystery evenings will awaken your detective instincts! Our intensive events calendar offers something for all the family, from fabulous children’s events to the annual Beer Festival. Guest steam and diesel locos can be seen at special Gala Weekends, step back in time with the famous Forties Weekend or take a magical journey on a Santa Special. Enjoy these and many more. 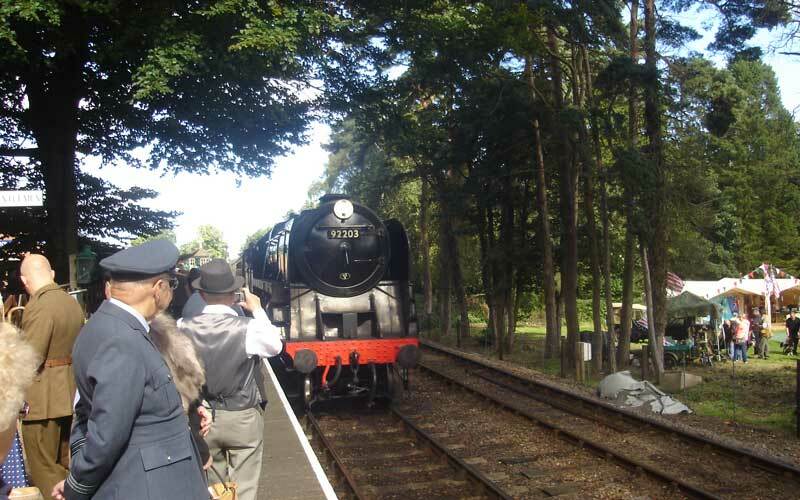 There really is so much to see, hear, learn, taste, experience and discover on the North Norfolk Railway. For more information visit our website below or find us on Facebook. 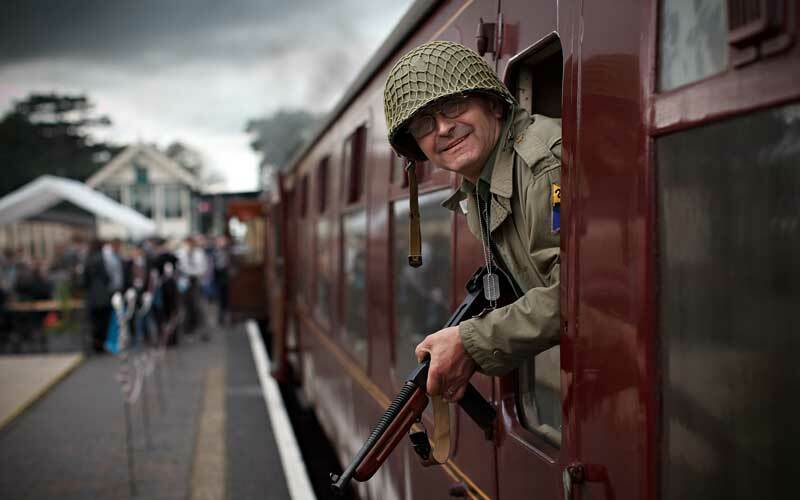 Take a journey into the past on the North Norfolk Railway.